There are many things that can go wrong with a large truck on the road. Aside from operator error, an improperly secured cargo may shift the center of gravity, another motorist may get caught in a blind spot, an entire load of cargo may become detached from its trailer, high winds may tip the trailer, unexpected debris in the road may cause the driver to swerve and send the truck into a fishtail, and the list goes on. The legal definition of a “truck accident” is when any trailer weighing over five tons collides with a pedestrian or with another vehicle. The size and weight of 18-wheelers and tractor-trailers virtually guarantees that a truck accident will be a catastrophe. No matter how a truck accident is caused, victims of truck accident injuries have the right to pursue damages for injuries and losses sustained from whoever was responsible for causing the accident. If they bring charges against the wrong person or group, the victim may miss out on his or her chance to bring charges at all. This is just one aspect of a truck accident case where having an attorney from the Fletcher Firm will help tremendously. Alcohol is rarely a factor in the fatal crashes that involve large trucks; drug use, particularly stimulants, is far more common. If you are injured in a car accident or truck accident in Nevada, don’t admit to any fault or sign any insurance forms before speaking to an experienced Las Vegas personal injury attorney. Get medical treatment right away and take photographs of your injuries both before and after your treatment, if possible. Make and retain copies of any medical, police, and insurance paperwork. If you’re injured in a truck accident now or in the future, speak with an experienced Las Vegas personal injury attorney immediately. As you probably know, in the United States, the federal government regulates the trucking industry. Drivers must break for at least 30 minutes after a day’s first eight hours of driving. Drivers also may not drive longer than 11 hours a day or 70 hours a week. Drivers and companies that do not comply with these regulations are subject to substantial fines. Employers who hire drivers – whether they are large trucking firms or small local taxi companies – must invest in driver training and education. Ongoing monitoring and evaluation of a company’s drivers is also imperative. Such initiatives not only make our Nevada streets and highways safer, they also make good financial sense. The National Highway Traffic Safety Administration (NHTSA) reports that drivers involved in an on-the-job accident cost their employers about $16,000. If the accident involves injuries, the cost skyrockets to about $75,000. Every company operating a fleet of vehicles must clearly articulate a policy that bad driving simply will not be tolerated. Ideally, bad drivers should be rejected in the hiring process. Frequent driver re-training and refresher programs should be a routine, regular part of every driving-for-hire job. Routine evaluation of accidents is also part of an effective strategy to reduce accidents involving driver/employees. In addition to accidents, employers should also consider traffic tickets and infractions. Of course anyone can get a ticket, but a management team should be able to analyze and respond to any driving incident with the goal of reducing accidents in the future. Factors like unnecessary stress and poor scheduling should be considered. If fleet drivers communicate with a dispatcher, encouraging safety should be a routine part of the dispatcher’s responsibilities. If you are injured in a traffic crash due to the negligence of a commercial driver, speak at once with an experienced personal injury attorney. Sleep on a regular schedule as much as possible. Get at least seven hours of sleep and more if you need it. The most valuable sleep is from midnight to 6 a.m.
Take a nap during the day if you need one. From 10 to 45 minutes is about right. Naps restore alertness far better than caffeine does. Eat a regular, balanced diet. The wrong diet leads to blood sugar issues, fatigue, and other health issues. Don’t take medicines that cause drowsiness, the top factor in truck crashes. If you or a member of your family has been hurt in a truck mishap, or if you are the survivor of a loved one killed in a truck accident, you may need to have medical expenses and lost wages compensated. 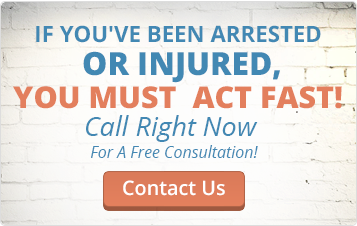 Talk with a good personal injury lawyer right away. If it is unclear who was at fault, the Fletcher Firm can use its professional resources to investigate the incident to determine which party or parties it would be appropriate to bring charges against. Was it the driver? Was it the person or entity responsible for securing the truck’s load? Was it the manufacturer of a defective component on the truck? Was it the driver of another car that cut off the truck or caused it to swerve? These are all questions that are very relevant when it is not immediately clear who or what caused a truck accident on the road. When they are injured in a truck accident, victims of injuries need the professional and experienced advice of an attorney from the Fletcher Firm. The attorney will review the facts of the victim’s case and will advise and speak for the client through every aspect of the damages recovery process. The attorney will also help the victim determine the fair amount of damages to seek, based on the facts and extent of injuries and losses. Damages are usually awarded for pain and suffering, medical expenses, and lost earnings. If they happen to be questioned by police or investigators at the scene of a truck accident, victims of injuries are advised not to answer any questions or make any statements to police until legal counsel has been consulted. Even if they think that what they want to say isn’t important, it will likely end up in an official police report and could very well become an issue later if different testimony is provided. Instead of mixing up the facts or trying to answer questions under the influence of adrenaline, victims of truck accident injuries should not say anything at all and should wait until they can think straight and have access to an attorney before they even consider saying something that could end up on the record. The last thing that the victim of an injury wants is to be misunderstood or misreported by a police investigator or insurance representative when it is the victim’s chances of recovering damages that is on the line.